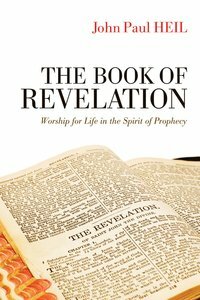 Description: John Paul Heil presents an original analysis of the theme of worship in the book of Revelation guided by a new illustration of its comprehensive chiastic structure. The worship that Revelation exhorts and enables is in the divine Spirit of prophetic witness against all forms of idolatrous worship on earth in favor of a true, heavenly, and universal worship of the Lord God and the Lord Jesus Christ, the Lamb, for an eternal and heavenly life. The audience begins this worship in the eucharistic supper into which Revelation leads them by inviting them to respond to the promise of Jesus, ""Yes, I am coming soon,"" with ""Amen! Come, Lord Jesus!"" They thereby affirm and welcome the coming of the Lord Jesus, the exalted sacrificial Lamb, to the eucharistic supper that anticipates his final coming and the divine grace, the gift of eternal life, of the Lord Jesus that is intended to be the destiny of all--""The grace of the Lord Jesus with all!"" About "The Book of Revelation"
John Paul Heil, S.S.L. (1976) and S.S.D. (1979), Pontifical Biblical Institute, Rome, is Professor of New Testament at Kenrick-Glennon Seminary in St. Louis, Missouri. His books include The Transfiguration of Jesus: Narrative Meaning and Function of Mark 9:2-8, Matt 17:1-8 and Luke 9:28-36 (Editrice Pontificio Istituto Biblico); The Meal Scenes in Luke-Acts: An Audience-Oriented Approach (Society of Biblical Literature); The Gospel of Mark as Model for Action: A Reader-Response Commentary (Paulist); and The Death and Resurrection of Jesus: A Narrative-Critical Reading of Matthew 26-28 (Fortress).